It’s a walk I’d done thousands of times, but my experience was as if I’d entered a 3D movie. I walked the 75 feet across the lawn, past the elder magnolia tree and all I can say is everything was alive. Achingly, shockingly alive. The greens were vibrant, the grass spongy under my feet, the exchange of gasses between the plants and the air nearly visible, and the munching and buzzing of the millions of insects almost audible. That experience inspired me to make a practice of paying attention when I walk. Of course that was a rare moment of awareness, where the veil seemed to drop between me and everything else, and the entire universe was just here together. It’s not how it always is! But if I can’t get back to that Technicolor reality all the time, I can get close just by paying attention. And in paying attention to where I am when I walk, my whole life slowly shifts into the present. Buddhist monk Thich Nhat Hanh is known for bringing supreme care to the ordinary things of life, like eating, smiling, breathing, and walking. During a recent outdoor meditation class we used this idea of kissing the earth with our feet as our practice focus and I uncovered another layer of awareness through walking. It had rained a lot the night before, and the trails were muddy in some sections, so since we’d need to pay attention to where we were walking, it seemed an appropriate practice. But as we walked, I realized I had a preconceived idea that walking peacefully meant bestowing a certain kind of kiss. I imagined gently stepping, being careful and tender, leaving a minimal trace. But what actually happened was something different. There were earnest kisses when I tried too hard. Popcorn kisses as I went faster going downhill. 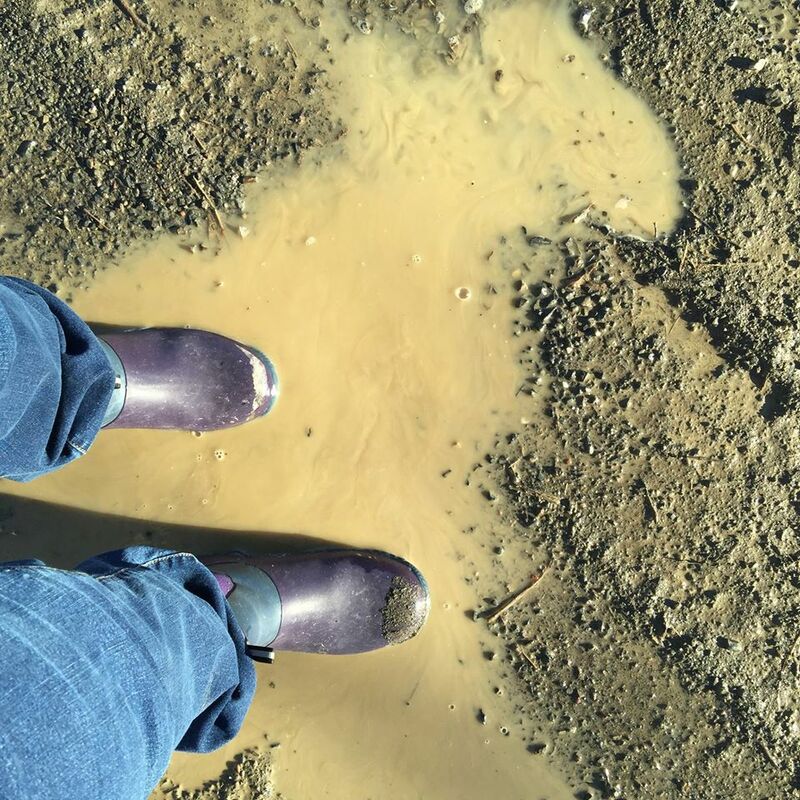 Sloppy French kisses in mud so thick it almost claimed my boots. Wet, smacking kisses with puddles. Hard, quick pecks out of sync with my body when my mind wandered and I wasn’t there for a step. Deep, slow, full-contact beauties, acknowledging inseparable intimacy and expressing gratitude. Tender, soft, and gentle kisses—extensions of my heart, like the kisses you might give a sleeping baby. This walk was a great lesson in assumptions (don’t assume you know what it means to walk as if you’re kissing the earth), and in how being here for what’s happening can reveal new things. As I repeatedly brought my attention back to the present, I discovered I never took the same step twice, and the earth was never the same earth twice. Each contact was a different experience, full of energy and emotion, no matter what kind of kiss it was. As I accepted each step for what it was, and embraced the full diversity of ways to walk, I discovered the peace I thought would come by walking a certain way.